A country full of life, color and delicious cuisine, Indonesia’s sprawling cities can be a bit chaotic for travelers to navigate, although the wealth of sights make a visit more than worthwhile. A curious mix of old and new greets you in its streets, as ancient temples and mosques lie side by side with skyscrapers, fast-food joints and gleaming shopping malls. 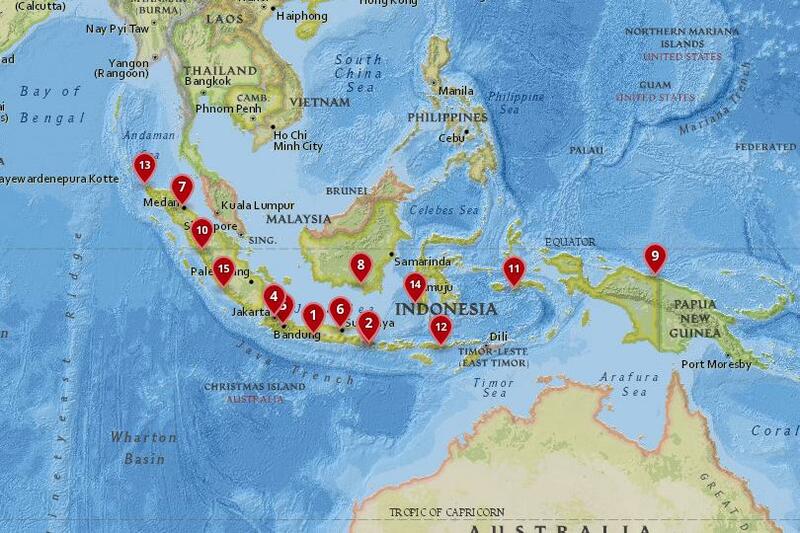 A populous nation, all of Indonesia‘s diverse customs, cuisines and cultures are on show wherever you go. With beautiful beaches and stunning mountains, caves, lakes and rivers lying nearby, the best cities in Indonesia always offer up an invigorating escape into the wild. 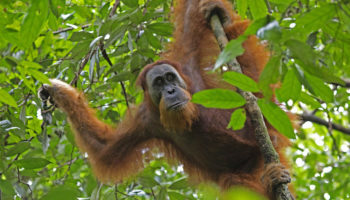 With a rich cultural heritage and a range of fantastic historic and cultural attractions on offer, exploring Indonesia will be an unforgettable experience. A quiet, laidback place, Bengkulu is very much a hidden gem that lies on the southwest coast of Sumatra. With a lovely city beach and lots of nice historical buildings, it’s a great place to stop by. It’s most famous attractions is. Fort Marlborough, the largest British fortress in Southeast Asia. Built in 1714 until 1741, the fortress now acts as a museum. 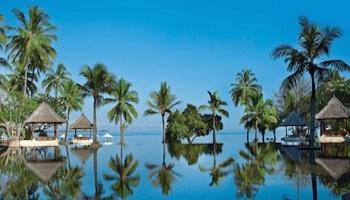 There are also lots of activities on offer, such as scuba diving, surfing and trekking. The stunning Pantai Panjang beach is an undoubted highlight, and the nature on offer around the city is well worth exploring. Many people stop here on their way between cities along the coast. A bustling and grimy port city, Makassar is built off trade and commerce, so has a diverse population of people doing business here. The city’s overwhelming heat and pollution mean that people rarely stay for long here. There are, however, some lovely beaches nearby and the city itself has some lovely colonial architecture on offer, as well as an interesting Dutch fort and a nice beachfront promenade. 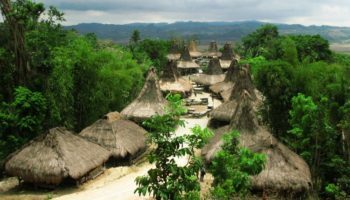 From Makassar you can easily catch a flight to the highlands of Tana Toraja. Lying at the heart of the Sumatran city, the stunning Grand Mosque is the undoubted highlight of what Banda Aceh has on offer; its lovely minarets and domes look spectacular against the green gardens surrounding it. A laid-back place that appears as if new, a lot of the city was rebuilt after the 2004 tsunami destroyed much of it. While there are numerous haunting memorials to wander around, this fiercely religious yet welcoming city is mostly used as a stop off point on the way to the lovely beaches at Lhoknga and Lampuuk or to the diving haven of Pulau Weh. With the delightful Meja and Iya Mounts rising spectacularly behind the city, and its jaw-dropping black sand beaches and cobbled streets, Ende certainly is stunning to behold. Easy to navigate, this small city on the island of Flores has an atmospheric center for visitors to explore and is a useful transport hub for the surrounding region. While it has delightful cuisine for you to delve into, Ende’s plethora of spectacular views, delightful waterfalls and historic sights hidden away amidst the nearby mountains, lakes and caves are what you really come for. A sprawling city, the capital of Maluku has relatively few sights to attract visitors – most people use it solely as a transport hub to the surrounding tropical delights. With some great restaurants and lovely cafes, Kota Ambon’s fantastic range of accommodation options means that it’s a nice enough place to stop by when planning your trips to the stunning Kei Islands or the dreamy Banda Islands. Lying in Western Sumatra, Bukittinggi is set on the edge of a picturesque canyon, with several mountains dotting the horizon around it. A lively market town, there are some great historical sights to explore, such as the Jam Gadang clock and some fantastic restaurants and cafes for visitors to choose from. Most travelers stop by for its stunning natural setting and the amazing sights that lie beyond the city. With the lovely canyon to explore, some fascinating caves, and the beautiful Harau Valley to top it off, Bukittinggi is well worth a visit. With a stunning setting amidst delightful, tree-clad hills, Jayapura is the largest and most important Indonesian city on Papua. With a tropical vibe, this former Dutch settlement is quite traffic-filled, though there are numerous lovely natural sights just outside of Jayapura if you want to escape the chaos. There are some great night markets offering up delicious local cuisine, but apart from some nice colonial architecture, it’s best to head to the nearby natural sights. From here, there are delightful beaches to lounge on, a gorgeous lake to visit and numerous picturesque views from the surrounding hills. Situated in South Kalimantan, this sprawling city is home to cavernous shopping malls, teeming business areas and the delightful waterways for which it is renowned. Beautiful to behold, its floating markets are fun to explore, and there are numerous rivers and canals for you to enjoy – they are the main reason travelers head here. With some nice architecture on offer and fantastic cuisine, Banjarmasin is also a great base from which to explore the Loksado region. This huge city lies near the northeast coast of Sumatra. Its diverse population means that there are a multitude of delicious dishes for you to try from a vast array of food stalls and restaurants. With some lovely colonial architecture on show and some fine museums, Medan is a modern city with lots of shopping malls, yet devoid of the chaos of most other large Indonesian cities. Although it is pleasant to explore, most visitors use it solely as a transport hub. From here, you can visit the amazing crater lake at Lake Toba, the delights of Berastagi or even head onwards to Malaysia. Chaotic, traffic-filled and polluted, the second largest city in Indonesia mainly acts as a transport hub for a lot of tourists, although that is a great disservice to Surabaya, as there is a lot more to it than meets the eye. While there are no stand out attractions per se, the old Arab quarter with tiny streets is mesmerizing to wander around; delightful old colonial buildings are scattered around the city. With the huge and lively Chinatown, lots of great restaurants, bars and nightlife on offer, give Surabaya a chance before you head for the beaches of Bali! The third largest city in the country, Bandung is a sprawling, traffic-filled city that is threatening to engulf many of the attractions that make it worth visiting. There are lots of lovely buildings scattered about, with some particularly fine architectural styles on show, as well as some great markets, shopping centers and restaurants on offer. Surrounded by mountains, there are loads of lovely natural wonders for visitors to enjoy nearby; you can trek volcanic peaks, bathe in relaxing hot springs, or take a trip to the nearby tea plantations. 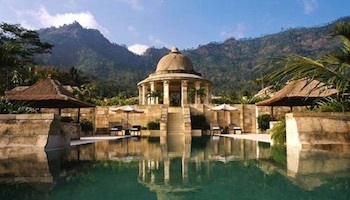 The capital of Indonesia this teeming megalopolis is a dynamic place full of life. Although its streets can feel frenetic and chaotic at times, Jakarta’s almost thirty-million residents are a welcoming and friendly bunch. Its fast pace of development means that the city is constantly changing, as high-rises and tower blocks spring up though the delightful Chinatown and colonial buildings of the old town help show another side to Jakarta. There are a plethora of fantastic restaurants, atmospheric cafes and lively bars for you to enjoy, as well as a raucous nightlife scene. Truly representative of all Indonesia, its residents highlight the country’s cultural diversity in their cuisine, customs and the products they sell. 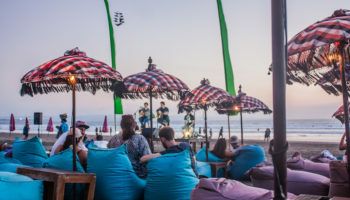 Once a small, secluded fishing village, Bali‘s Kuta has been overdeveloped over the decades; its fast-food joints, cheap bars and nightclubs are now full of young Australians looking for a good time. 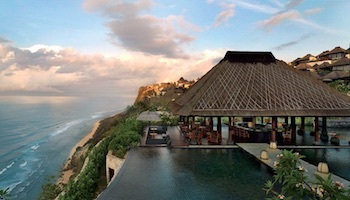 While you can definitely spend all your time partying here, it is Kuta’s dazzlingly white beach which is the main attraction – it may even be the best beach in the whole of Bali. 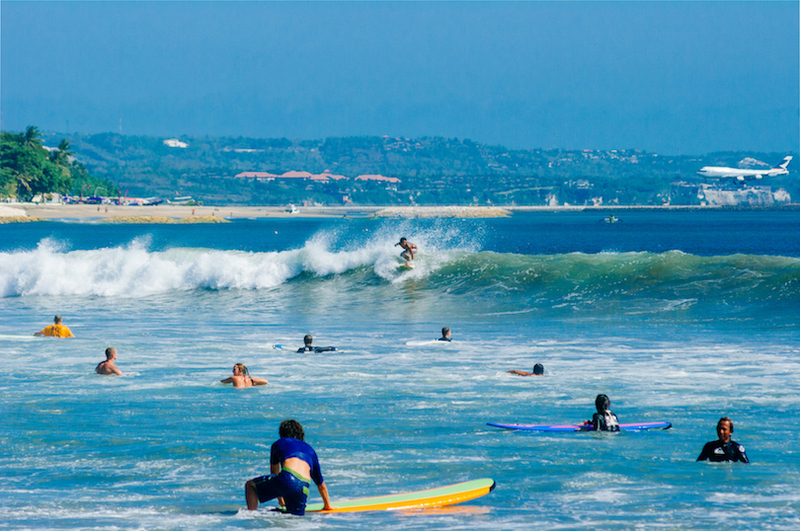 All along the coast there are gorgeous beaches for you to enjoy and some great scuba diving and surfing to be had. 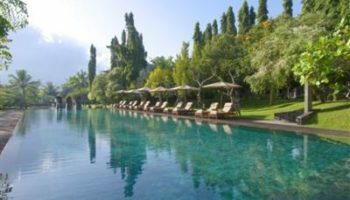 Head to nearby Legian and Seminyak if you want a more peaceful time, or to the stunning beaches of the Gili Islands which are a boat ride away. 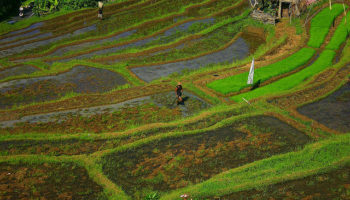 An ever increasingly popular destination, Ubud’s center is now quite packed with tourists, although if you head a bit further out, you will find more peaceful parts of town and secluded paddy fields. Dripping in history, the city and its nearby surroundings are home to a multitude of fine cultural and historical attractions. There are loads of spectacular temples for you to visit, some delightful caves, lovely stone carvings, as well as some great museums. On top of all that, there are lots of good restaurants, bars and local shops for you to check out; over sixty-five different art performances are put on each week. 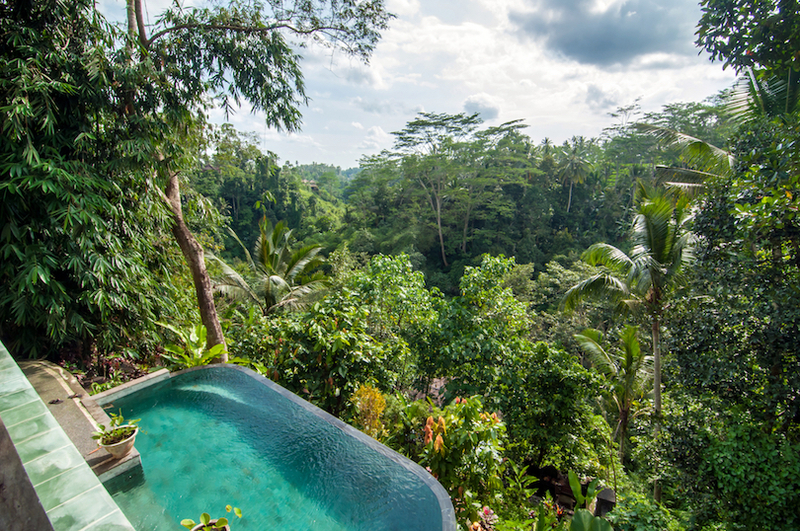 Creative and calm – depending on where you go – many people end up staying a lot longer than they expected in Bali’s Ubud, due to its beguiling charms. A delight to wander around, Yogyakarta is the artistic and cultural heart of the island of Java – the rich Javanese heritage shines forth wherever you look. 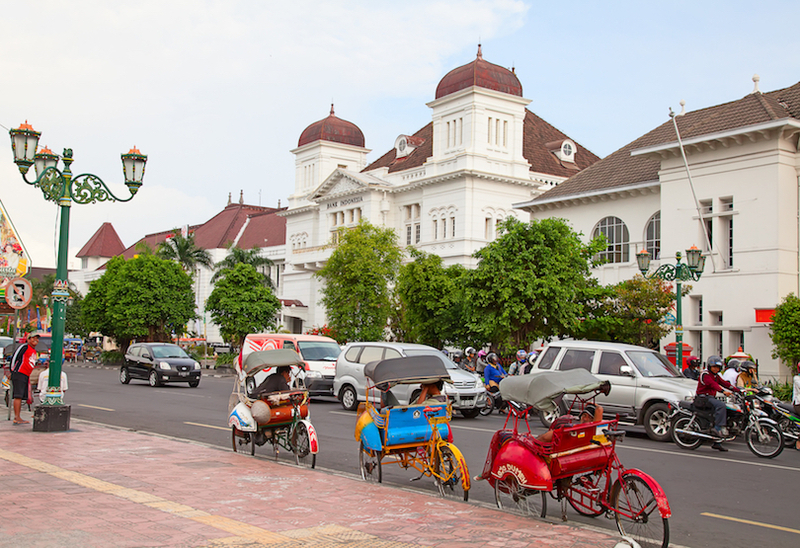 One of the oldest cities in Indonesia, there are lots of historical sites to visit; it is still ruled by a sultan, whose elegant, walled palace dominates the center of town. A great place to live, Yogyakarta’s delightful street art, fantastic art galleries and museums, as well as its sumptuous dining options, make it lovely to visit. There is always something interesting to see or do. Although the local culture and traditions are still very present, fast-food joints and shopping malls have sprung up around the city. 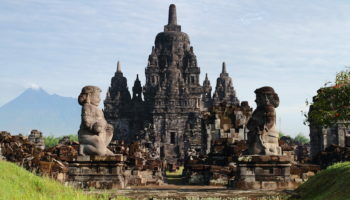 With the spectacular temple complex at Borobudur and Prambanan nearby, Yogyakarta is a great base from which you can explore the surrounding region.